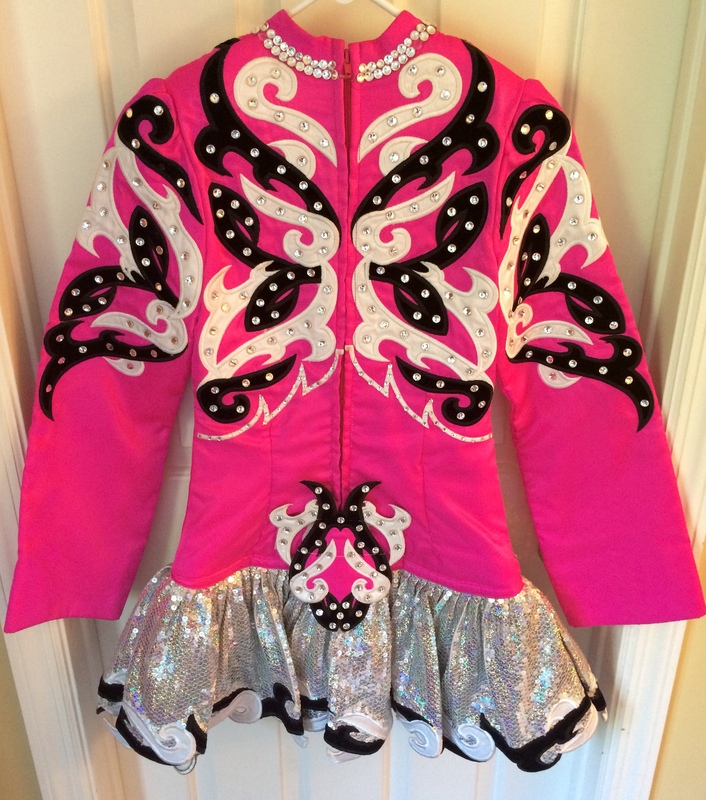 This pink Siopa Rince dress was worn for only a year. 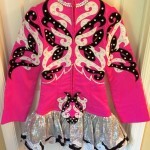 Embroidered with black and white celtic designs, and studded with more than 1,000 swarovski crystals. 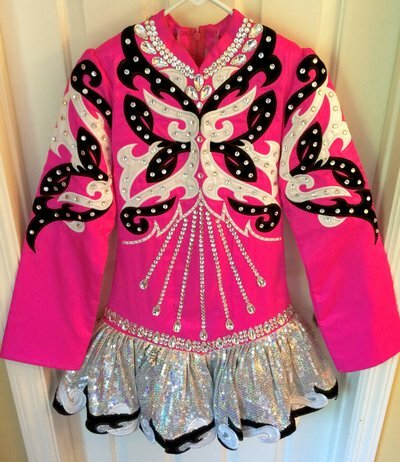 This dress is stunning on stage and the silver sequined skirt adds even more shine to the overall look and flows nicely while dancing. There is room for let out and let down. Asking Price: $500 USD. Shipping costs are not included in the asking price. Sale is final.